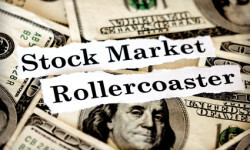 If you have money in the stock market, you probably feel like you’ve been riding the wildest, scariest of roller coasters. Down 512 points. Down another 635. Up 430. Down 520. Up 423. Up 126. Where will it go next? When will this crazy ride end? When things seem out of control, I look for anchors – solid advice, timeless principles, voices of reason. From the small Michigan town where we were on vacation last week, I reluctantly reconnected with the world on a few evenings, scanning the web sites of the major brokerage houses to see what they were saying. After all, their primary job is to help people invest well. Their messages were very consistent. Clients sometimes get tired of hearing us tell them to “stay the course,” especially during periods of volatility and uncertainty, but history doesn’t lie. Sticking with a sound long-term investment plan—a plan that’s tailored to your personal goals, time frame, and willingness to bear market risk; a plan that includes the appropriate asset allocation and broad diversification—has generally proven to be the best course of action, regardless of what’s happening in the markets. This was also Vanguard’s message during the bear market of 2000–2001, and investors who listened to us back then were, by and large, happy they did so once the markets rebounded. It was our message during the trauma of 2008–2009—and again, investors who were cautious and stayed true to their long-term strategies tended to fare better than investors who panicked and altered course. Consistency may not be exciting, but experience tells us it’s smarter than constantly shifting your strategy based on the latest market trends. The ride may be bumpy over the next few weeks or longer, but there often is greater danger in dodging in and out of the market than staying with a solid, long-term plan. History has shown that near-term market declines, although unnerving at the time, are often followed by rebounds. Investors should give their investment plans time to work for them over the entire market cycle. At times like these, taking a step back to gain perspective can help. Since Thomas Rowe Price, Jr., founded our company in 1937—in the heart of the Great Depression—the firm has witnessed many market downturns, including the long, slow 1973—1974 bear market; the October 1987 crash; and the 2008 financial crisis. I’ve lived through many of these myself. Although the magnitude and duration of the declines have varied, one thing has held true: The markets have always come back. We also know from experience that emotional responses to financial downturns rarely produce good results. Now is the time for investors to remain focused on the fundamentals and to maintain a long-term perspective. As painful as market downturns are, the indiscriminate selling that accompanies a panic creates opportunities for investors who can see beyond the fear. Investors should rarely, if ever, react to a dramatic short-term move in the market. As intriguing as it may seem to try to catch bottoms and get out at tops in order to reap big profits (or so you think), the “tactical” (or shorter-term) approach to investing has its limitations … and its risks. We believe it’s the “strategic” asset allocation decision—and the ability to stick with it through the discipline of rebalancing—that will ultimately reap the greatest rewards. These decisions are not a function of short-term market gyrations or forecasts (mine, yours or anyone else’s), but are tied to your risk tolerance and long-term goals. Developing and maintaining the right long-term asset mix is by far the most important set of decisions a client will ever make. 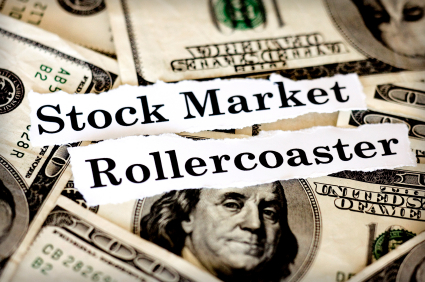 How have you handled the stock market’s wild ride? Know someone else who would benefit from this article? Please forward a link to my site. And if you haven’t done so already, you can subscribe to this blog by clicking here. 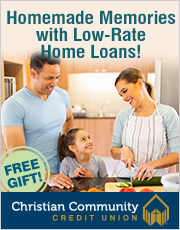 Two or three times a week, you’ll receive ideas and encouragement for using money well. We are not currently in a “normal cyclical downturn”….we are in unprecedented times with unprecedented debt obligations not only here at home but around the world with the US contributing roughly 18% of the entire IMF/World Central Bank Fund to bail out countries that will never dig out of their holes. Hyperinflation is coming, invest in hedges against inflation. I believe this week will be the same with big ups and down. I really hope it will be bigger ups then down. But I`m sure that it will take more time for the markets to calm. I have held the course. I have invested conservatively and in the last 11 years my investment is worth the same as when I transfered my retirement funds from my employers portfilio. So much for 11 years in the market. We have had to readjust our retirement. Like so many others we have had to pull back and place plans on hold. Yet we see all the big banks, investment companies etc. that were bailed out get bigger earning and still increase our fees.